Brands have become part of the fabric of the tournament which has remained refreshingly true to its traditions, says Chris Baker, head of strategy, FCB Inferno. Working in this industry it seems that we’re always talking about what’s new. ‘There’s an amazing piece of new tech we need to use’, ‘there’s a new social platform that all the cool kids are on’, ‘there’s a new research technique that allows you to see what’s happening inside someone’s brain’, and all this leaves us with a belief that the world has changed and the old rules no longer apply. Perhaps that’s what makes Wimbledon so special. This year is the 148th year of the greatest tennis tournament in the world and while the world of sport has changed beyond recognition in that time, tennis at the All England Club has remained refreshingly true to its traditions. It’s rare to see the greatest players in the world all dressed in white and not surrounded by numerous sponsors’ boards. There are limitations on the size and number of endorsements the players can have on their clothing and manners are more important here than anywhere in world sport, just look at the commotion caused by Nick Kyrgios this week. Sponsors and brands are almost conspicuous by their absence. But if you look closely you can find them, not plastered across the background but where they can actually be useful – and they’re more likely to be referred to as ‘suppliers’ rather than the slightly seedier sounding ‘sponsors’. Wimbledon has some of the longest standing brand relationships in the world. The relationship with Slazenger goes back 110 years, Robinsons is 75 years and the link with Rolex as official timekeeper is 30 years young. But even with this length of service, these sponsors receive none of the usual benefits associated with a sponsorship of this magnitude. It’s almost the ultimate example of product placement with IBM appearing on scoreboards, Robinsons and Evian in the players’ hands and the ball boys decked out in Ralph Lauren. It clearly works in getting to the tournament’s ABC1 audience. 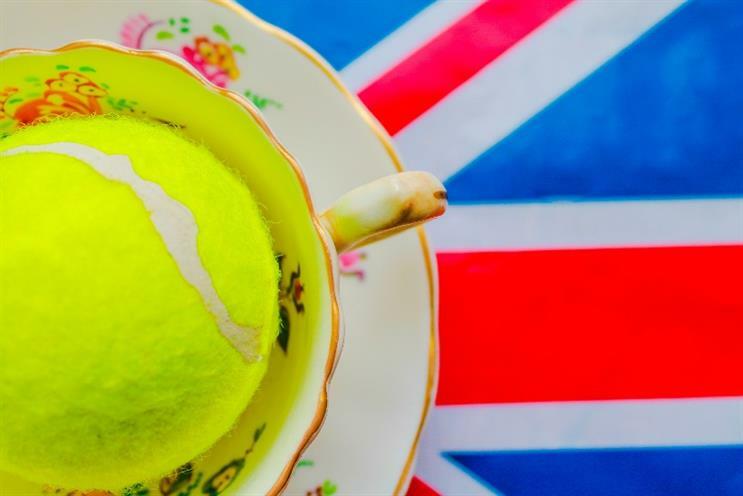 The Robinsons Brand Index score jumped by five percentage points during last year's Wimbledon and the drink is firmly embedded as part of British summer. It’s one of the few major sporting events still on free-to-air TV making it an absolute cornerstone of British summertime. While you might miss the fact the Ashes are on at the moment, there’s no chance of missing Wimbledon. You’ve got to admire Wimbledon for sticking to its principles and that’s what makes it such a valuable property. But these brands that for so long have been part of the fabric of the tournament are starting to come out of the shadows with the clever use of the digital landscape. Evian’s #wimblewatch provides a courtside view of the tournament with interviws with the numerous visiting celebs you see adorning the royal box. Robinsons have developed a terrific online treasure hunt that allows kids and parents to play along. Stella Artois have used the recent Cannes Mobile Grand Prix winning Google Cardboard to create a virtual reality app and Jaguar’s #feelwimbledon experience allows the public to experience the feelings and emotions of the tournament. This range of different ideas has come out of the strict limitations placed on sponsors and led to a great family of work that goes far beyond the usual sponsorship fare. That’s the great thing about having to work in a difficult space; it focuses the mind and can lead to new creative ways of unlocking the problem. If this is the result, perhaps we should find a way to make things a little bit harder on purpose?